By Jeffrey Crider and Whitney Youngs. 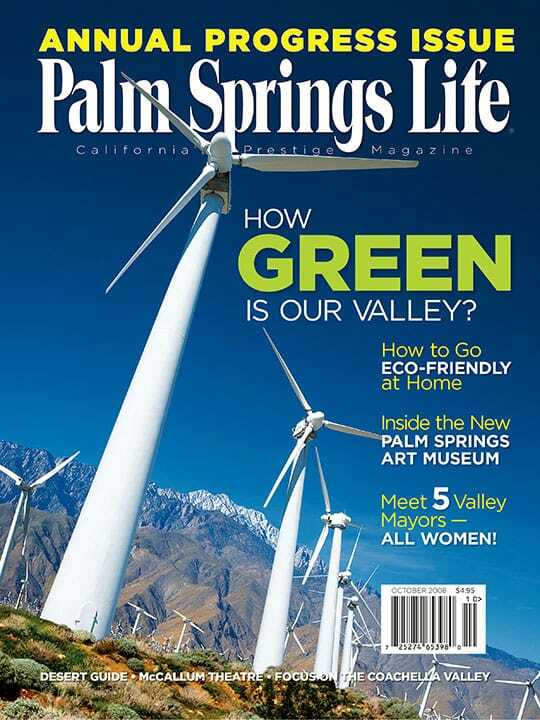 A survey of eco-minded initiatives reveals our desert communities’ commitment to sustainable living. Plus: Go green at home. By Steven Biller. Photography by Elena Ray. On a mission to become great, Palm Springs Art Museum has reappeared in the constellation of Southern California museums. By Ellen Paris. Photography by Kyle Martin. With innovative cultural offerings that include music, cooking, and art, libraries across the desert are attracting eager new members. By Janice Kleinschmidt, Jeffrey Crider, and Scott Brassart. The valley’s five women mayors; high scores for young readers; bucking the real estate trend on the high end. Plus: Intelligencer and Word Association. Show your environmentally friendly side whether at home or out and about. By Pat Deveraux. Photography by Andrew Yeadon. With the subtlety of a cluster bomb, the Aston Martin DBS gets you there in sound style. Western states face each other in a pinot noir showdown. 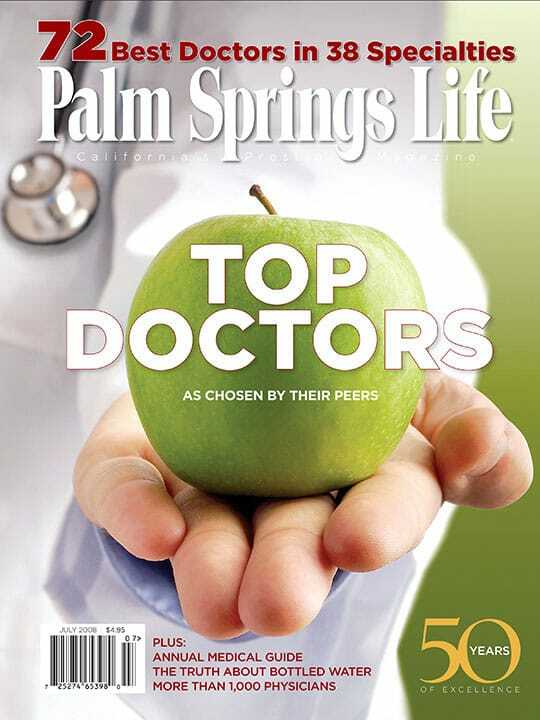 Coachella Valley remains a bright spot (mostly), weathering the ills of a national economic down-turn. Plus: a city-by-city overview of progress.